What a great time I had getting to know Paige Turner. She maybe one of the stars of Fusion TV's Shade: Queens of NYC, but any shade was left for the small screen! In this interview it was nothing but laughter and fun! 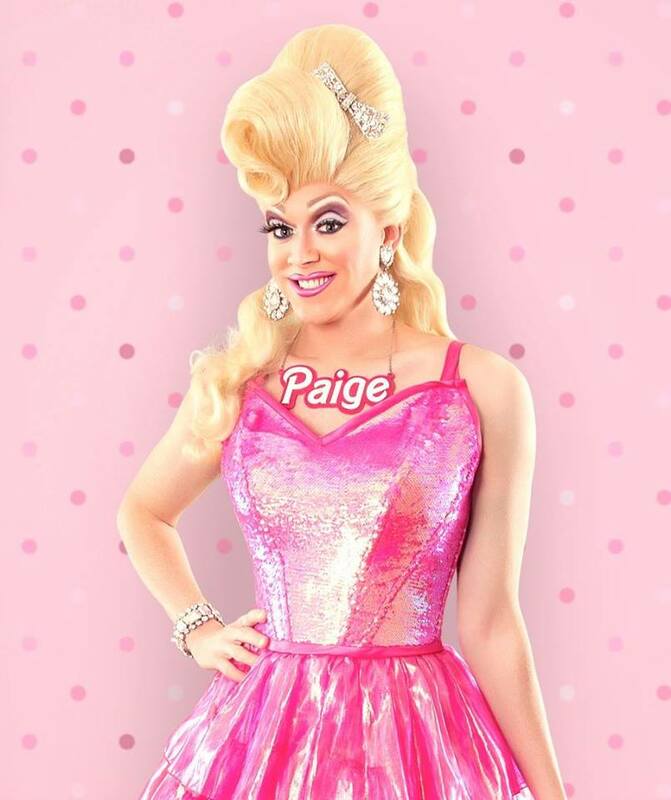 Paige is returning to The Laurie Beechman Theatre with her new show Drag Me To The Top, which tells the unvarnished truth of how drag superstar Paige Turner climbed her way to the top in a world filled with bottoms. It is a hysterical evening of live singing, outrageous comedy, videos and over the top parodies. Life can be a drag—and Paige wouldn’t have it any other way. Featuring all live songs from Hamilton, La La Land, One Direction, Burlesque, Queen, and many more. Get ready to ride on a rainbow as this tawdry blonde bombshell takes you into her phantasmagorical world of mayhem and foolishness. Drag Me To The Top will play The Laurie Beechman Theatre in NYC (407 West 42nd Street, between 9th & 10th Avenue, in the basement of the West Bank Cafe) from February 21-March 27! Click here for tickets! 1. Who or what inspired you to become a performer? It was actually Sandy Duncan in Peter Pan. I was obsessed with clowns growing up and always loved the illusion that you could create with clowning. 2. For those who don't know, how did you come up with the name Paige Turner? I was doing a show and the musical director's music fell to the floor and he said "Quick, I need a page turner!" and I said "I'll be your Paige Turner!" I love that this connects with my musical theater background! 3. You are about to premiere your new show Drag Me To The Top! at the Laurie Beechman Theatre. What are you looking forward to about having this show in front of an audience? I love telling stories and finding new ways to share them. I have a lot of new songs that I've been sitting on for quite a while, so this idea felt like the right vehicle to finally use some of these gems. 4. What do you think will shock your fans about this show? I definitely know when I get serious or vulnerable, fans are shocked. I'm very louder, faster, funnier, so sharing something intimate or personal definitely gets a very nice response. I enjoy not being so predictable. 5. What is the biggest lesson you've learned so far on your journey to the top? To be grateful and practice gratitude. Much more will come into your life if you live this way, but it took me many years to learn this! 6. What is one piece of advice you could give to someone who wanted to be a "Showbiz Spitfire" like yourself? Being a performer and a successful one is a lot of work. Do the work! You can skip the steps here and there but it always comes down to the work at the end of the day and people will notice! Surround yourself with others who will support you and know that it is your own personal journey. And most importantly get rid of all the negative voices telling you that you can't or should not do it! 7. In your press release for this show, it's mentioned that "Life can be a drag." What is the worst thing to have happened to you? Well it's a pun on several things...Obviously the art form of drag but life in general. The worst thing that has ever happened to me is having lost both parents pretty early in my adult life. 8. It also mentions the audience should get ready to "ride a rainbow." If you were to "ride a rainbow" to somewhere, where would you go? Back to Indiana when I was 8 to remind myself that "It definitely gets better!" 9. You are also on Fusion network's Shade: Queens of NYC. Who has given you the most shade ever? Those who have nothing but negative things to say about others all the time. "If you can't love yourself....well, you know how that goes! 10. I have a new segment to my interviews called "I Can See Clearly Now" where I try to clear up misconceptions about people. What do you feel is the biggest misconception out there about yourself that you'd like to clear the air about? That I'm very serious. I'm very serious about what I do from a professional standpoint, but I don't take myself seriously at all. Known as the Carol Burnett of Drag, “Showbiz Spitfire” Paige Turner is one the original creators, producers and host of NYC’s live drag reality show So You Think You Can Drag? She is a Glam Award winner and is known for her over the top parodies and comedy. Paige is a regular at the Beechman and has previously been seen in Confessions of An Un-Natural Blonde, Make America Gay Again, This Show is Gay! and her annual Christmas and Easter Shows. She tours throughout the country and coined the phrase Slurp! She is currently part of the cast Shade: Queens of NYC, on the Fusion Network. Call Me Adam, Adam Rothenberg, Paige Turner, Drag Queen, "Shade: Queens of NYC", Fusion TV, The Laurie Beechman Theatre, Comedy, Singer, Entertainment, Actress, RuPaul, "RuPaul's Drag Race"
Jan 17 Call Redialed: Peter Darney: "Memorare"